In last week’s post we mentioned that Public Service Announcements are typically done on a low budget. The simple reason for this is because they are a public service, as opposed to being a spot plugging a nationally know product with billions of dollars in sales every year. This week we present to you another batch of inexpensive PSA’s, but this time I can’t tell you much about them mainly because I don’t know much about them. These are all films that I remember seeing on TV, which if nothing else proves that they stuck in the memory which is usually a good thing. One of a series of spots featuring these memorable spreaders of diseases, Sal and Arnie. Remember when refrigerators had big latches on them? Sorry the beginning is missing on this one, but it’s historic import makes it worthy of inclusion despite that. I wish he’d come and clean up the garbage in my neighborhood. I vaguely remember when I was in college around 1960, I read an old novel by Horatio Alger Jr, written around the 1870s or 1880s, where the hero in a New York City restaurant orders what was then one of those “new Hamburg-style meat patties”. Or maybe it was beef patties. I think it came on a plate with gravy. It was clear that the idea of picking one up and eating it sandwich-style on a bun hadn’t been invented yet. There’s probably some historical food article on the internet that charts the evolution of the “Hamburg-style meat patty” served in a restaurant with beef gravy to the omnipresent “hamburgers” served at home, at picnics, or as a fast-food snack, on a bun and smothered with condiments. And the evolution in language of “hamburger” into cheeseburger, fishburger, and “burgers” that aren’t food at all. I bet there is Fred (or some documentary on the subject). The NY Public Library has an amazing collection of restaurant menus, mostly from NYC, but elsewhere, too. It provides an invaluable look into questions like this one. They had a great exhibit inspired by the collection at the main library on Fifth Ave a few years ago. Talked a lot about the many ethnic foods that came to NY and spread across the states, and I believe there was an old Disney Studios Commissary menu, too, with illustrations of Disney characters. They definitely had a few Automat recipes on postcards that I took with me and have yet to try. Interesting stuff. That first spot is amazing. Like, wow, so much energy. The animation on the last video was creepy (and quite good), but not as disturbing as the sight of a mouse being killed live with nicotine. If only that part was animated as well. Ugh! “Time Pulls The Trigger” reminds me of Walter Lantz’s film, “The Enemy Bacteria”, although “Time” is much simpler in design and animation. At least the Lantz film didn’t kill any poor little mice, I teared up when the little critter died. Did you ever show the infamous “Johnny Smoke” commercial here? I saw that one as a 10 yr old and it really freaked me out. In fact, a lot of PSA’s freaked me out as a kid. For some reason the one’s produced by the AMA in the 60s I thought were particularly creepy. I worked for one summer in the mid/late ’70s as an intern at USDA in the media section of what would become FSIS (Food Safety & Inspection Service). They had an in-house film production unit but the animation was contracted out. 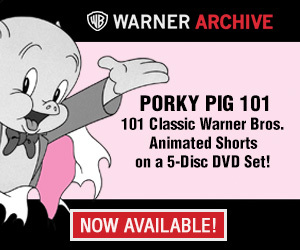 Chuck Jones was supposedly involved in some of the Sal Monella and Arnie Bacteria PSAs. How wonderful to come across this blog entry….Chic Otterstrom was my grandpa. Although he died at a young age (before I was born), I was always keenly aware and proud of his work as an animator. Mike Kazaleh is a cartoonist and animator whose work can be seen in comic books like Bongo’s The Simpsons, Futurama and Papercutz’ Gumby – and on screen in Warner Bros. Tiny Toon Adventures, Ralph Bakshi’s Mighty Mouse: The New Adventures and Cool World.